With StyleBuilder, skin designers now have a simple way to navigate dozens of bitmaps and the hundreds of settings that make a visual style. The new visual styles that come with XP are blue, olive green & metallic. That may be enough for some, but here at TGT, we want more choices. StyleBuilder allows users to create their own additional high-quality styles to fit your unique personality. It imports existing visual styles found on other websites. * Import existing visual styles found on other web sites. Modify them as you please! * Automatically converts 32 bitmap BMPs with alpha channels to PNGs so you can edit them properly. * Uses the original Luna visual style to create a template for a quick start. * Configure multiple bitmap editors of choice. * Advanced colorization can change the colors of any part, group, or the entire style at once! * The part view window allows users to play with buttons, check boxes, radio buttons and other parts. * Left thumbnail Outlook bar provides for easy navigation. * All the fonts can be viewed and edited in one place. * Automatically builds all three fonts sizes Normal, Large, and Extra Large. * Zoom tab makes it easy to spot pixel errors. * Zip feature makes it easy to transport visual styles to web sites or exchange between friends. * Link feature allows users to hand edit the INI files for advanced adjustments. Desktop Wallpaper contains 18 high quality JPEG files. Qweas is providing links to StyleBuilder 2.0 as a courtesy, and makes no representations regarding StyleBuilder or any other applications or any information related thereto. 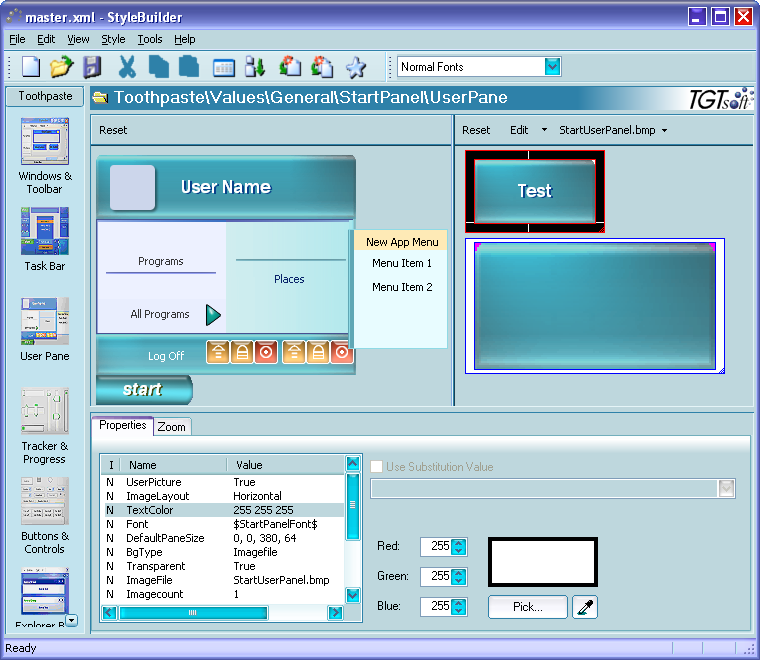 Any questions, complaints or claims regarding this application StyleBuilder 2.0 must be directed to the appropriate software vendor. You may click the publisher link of StyleBuilder on the top of this page to get more details about the vendor.